Monitor your house security status from your smartphone. Control physical alarm keypad with virtual keypad on smart device's screen. Monitor your house security status from your smartphone. 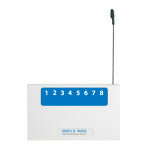 Control physical alarm keypad with virtual ..
Wireless Alarm Interface is an interface to your alarm panel. 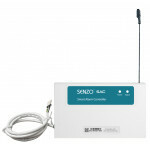 WA08 supports an alarm panel of eigh..
Wireless Alarm Interface is an interface to your alarm panel. WA16 supports an alarm panel of sixt..